Normally, I would start the year with a bunch of new goals and break them down into quarters, but I was unmotivated to do any of that. I was still moving into my home, trying to plan a birthday getaway for hubs and helping a best friend with a wedding. Still, a lot going on. My two main priorities for the year? Building my Permission to Write brand and working on a novel project to actually pitch to an agent. For the first time, my goals didn’t include page views, and blog posts, it just included some longer-term projects that truly need most of my attention at the moment. Say it with me, it’s okay to pivot. I started taking this blog seriously about 2013. In that time, so much about blogging changed, you had to be an influencer, you had to have a million offerings, etc. And I went with the wave because I was already doing in-person workshops and have an affinity for teaching others to write from their hearts and creatively. But it was exhausting, and quite frankly, I never reached what I was chasing after. I started this blog because I wanted to write, and somehow, you get so far away from just writing when running a blogging business. So here I am, in this New Year, re-dedicating myself to being a writer. And what that meant to me before I ever knew the capabilities of a blog. And yes, I’m still planning to re-release my In Bloom course, and do some in-person meetups, but not with the same vigor of prior years. I am giving myself SPACE! Instead of trying to pitch any and every publication, I have a list of three that I would like to accomplish within the year. A WHOLE YEAR to try to get the right pitch and have pieces that I’m proud of on sites I actually care about. And you know what’s great about giving yourself space? You actually have the capacity to do things that come your way that you didn’t expect. Like speaking at the BYOB Conference in DC in May and running a workshop for teachers in June! Yet, even with intentionally putting a limit on my projects this year, I still feel like I’m not doing enough. And it’s none of my own origination of thought. It’s being too grossly involved in social media and feeling like everyone gets to announce things, but here I am working on long-term goals that I may not see the fruits of for years, possibly. I know because when I took a month off from scrolling timelines, I felt pretty great and confident about the direction of my life. Yet, like a bad boyfriend that is fine, I just can’t seem to let it go. Social that is. So, I just deal with the feelings of unworthiness in hopes that my dedication to my career, as opposed to cute Instagram posts, will yield the results I’ve been praying for. Ever since I was a little girl, I wanted to write a book. I’ve written stories since I can remember and I have some of the handwritten ones stuffed in a box in my closet to prove it. Over the last month, I took out a plethora of novels from the library. Yes, the library, I know I also forgot that those even existed. I’ve read my heart out and researched what makes great storytelling. How to bring your reader in when writing in first-person. How to ensure your characters actually have an interesting arc and don’t fall flat and it’s been great. I have a whole first crap draft of my manuscript and after reading some amazing stories, I feel motivated to get in and do some heavy editing to make a better story. I’ve just been doing the work. And that’s this thing that we often refer to, but sometimes I don’t think we accept what that really means. In the midst of the work, it’s kind of quiet. There’s no bells or applause, it’s just you. Thinking, writing, being creative. And it’s not so glamorous really. Doesn’t always make for the best photos or viral tweets. But it’s the most rewarding part if we’re honest with ourselves. It’s the part that doesn’t need validation or dopamine when we see the likes start to pile up. It’s the part that we have to be confident in before anyone else knows it exists. So, that’s where I’ve been. In case you were wondering. In case you thought that another blog bit the dust. I’m still here, I just want to focus on the things that are most important. 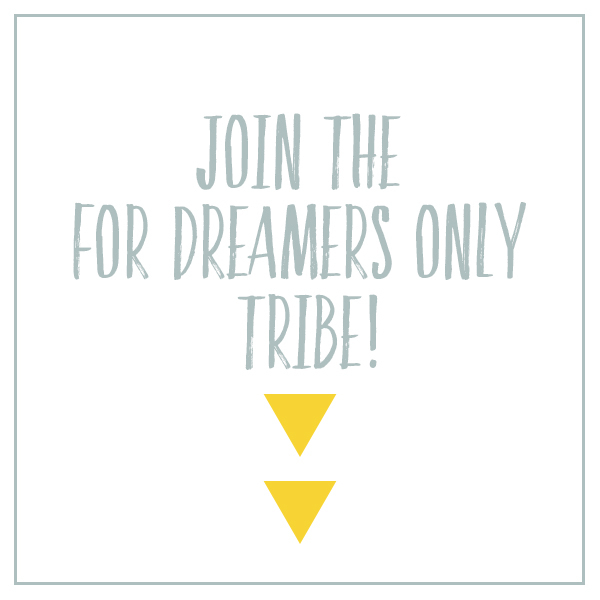 SO … if you miss me, make sure you’re signed up for the For Dreamers Only newsletter. I’m still doling out inspo on the 1st and 15th of every month. Sharing in the journey and hopefully encouraging you to keep going in yours. This year was a pivot and well, I’ll keep you posted on how it’s going.